One or the other, or a mix of both—either way, the choice can be overwhelming. Computer peripherals have come a long way in the last five years. Wireless technology has improved to almost real-time reaction speeds and batteries that run for days. The mice we play with have been getting lighter, the keyboards have become more robust, and the headsets are more comfortable. But the age-old debate remains: Should you use wired or wireless? Purists will always say that wired is just more reliable. You don’t have to stress over batteries dying, peripherals disconnecting, or any input lag between what you do and when it actually appears on your screen. But wireless allows for cleaner desk space, more versatility in setups without cable clutter, and the difference in some products is almost imperceivable. Nothing is stopping you from doing both, though, and some things are better one way or the other. Check out our guide below for the pros and cons of wired vs. wireless peripherals. The keyboard is arguably the most crucial component in any peripheral setup. The debate for keyboard peripherals doesn’t start with wired vs. wireless, but mechanical vs. membrane. Mechanical keyboards give you the most authentic experience, with clear response between hitting a key, hearing the click, and seeing the input. Membrane is a silent alternative without the same response feedback—but the lifespan of membranes tends to be shorter than mechanicals. A lot of the best keyboards on the market are mechanical, with wired keyboards still more prevalent than their wireless counterparts. The primary drawback of wireless keyboards is input lag and polling rates, which is the rate your computer checks to see if there’s been an input, as well as interference with other wireless products. But there’s still good options out there. The Corsair K63 is by far the best wireless keyboard on the market. With a maximum 75-hour battery life, it’s the wireless beast that keeps on going, while still maintaining the feel of a wired keyboard with no input lag or connection issues. The K63 does lack a 10-key numpad, but its sleek design and great build quality make up for that. 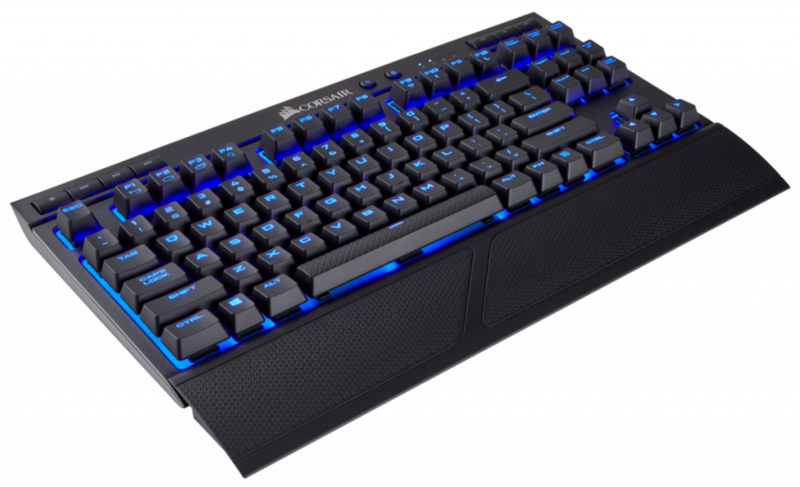 You can take this keyboard to your couch with the Corsair Lapboard as well, making it extremely versatile over its wired competitors. If you need a 10-key device, you can look toward the Logitech G613—although that comes at a higher price point. 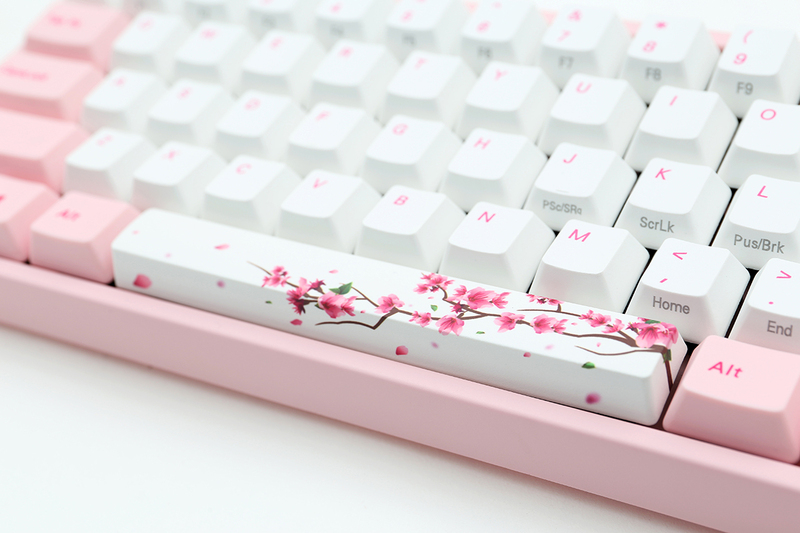 Once you get a Ducky keyboard, you’ll probably never change brands again. The Ducky One 2 is the hallmark product that comes in a variety of styles and sizes. While it lacks a wrist rest, the keycaps are robust, it has an extremely fast polling rate of 1,000hZ (1,000 times a second), and no issue with rollover (which is your key inputs dropping out over a polling period). If you want to bring some style into your build without compromising quality, a Ducky One 2 will do you justice. Unlike keyboards, there’s an abundance of wireless mice on the market—and it’s easy to see why wireless mice are so popular. Cutting your cable means you don’t need to worry about tangles and long cords at the most inconvenient times, while also cutting back a bit of the weight. Some manufacturers are also making wireless charging mouse pads for wireless mice, which means you might never need to see a mouse cable again. Some people are still attached to their wired mice, though, given how crucial it is to have a precise mouse in the armory. But most wireless mice are almost indistinguishable from their wired counterparts. 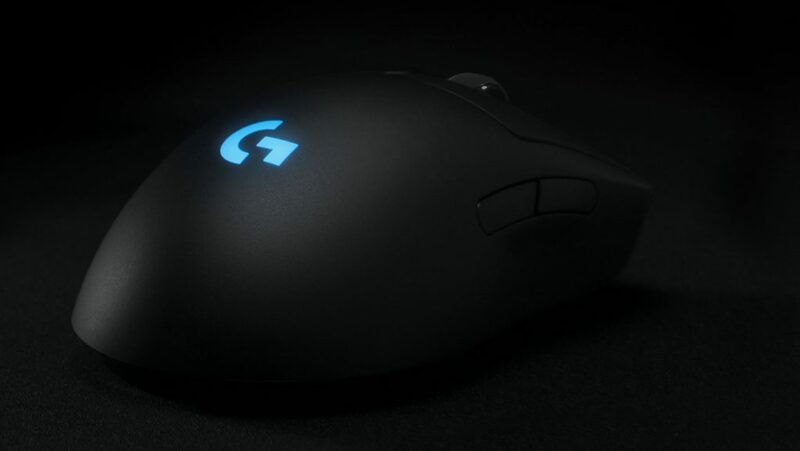 No mouse has been raved about more recently than the Logitech G Pro. It took every great about its predecessor, the G903, and made it amazing. It comes in both a wired and wireless version, so you can take your pick—but the wireless version is by far the best wireless mouse on the market. A 1ms report rate, a pixel perfect sensor, and complete DPI customisation mean that the only thing holding you back is your own skill in the game. It comes at a hefty cost, but if you want the perfect setup, you’re going to need one of these. 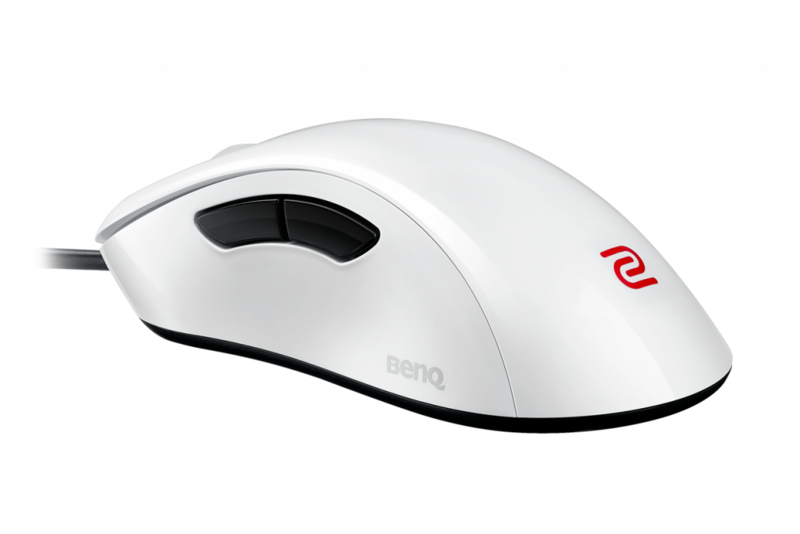 Zowie is known for its great mice for FPS gaming and the EC2-A is a personal favorite. Coming in both white and black and in multiple sizes to fit every hand, the EC2-A is a mouse at its most stripped back and perfect. With an ergonomic kick to help with the flicks you need in your preferred FPS, the EC2-A also boasts adjustable DPI and report rates to make sure your mouse is just right. It comes in at a decent price point, too, with the only drawback being its right-hand exclusive design. It’s becoming more difficult to find wired headsets today. Wireless headsets are dominating the market at all price points and cutting the cable on your headset is easier than ever. Do you hate running over your headset constantly while playing or moving in your chair, or do you want something nice for both gaming and real life? There’s no shortage of wireless headsets to fulfill that. But if you’re still a stickler for wired headsets, there’s some top-quality options out there for great prices. 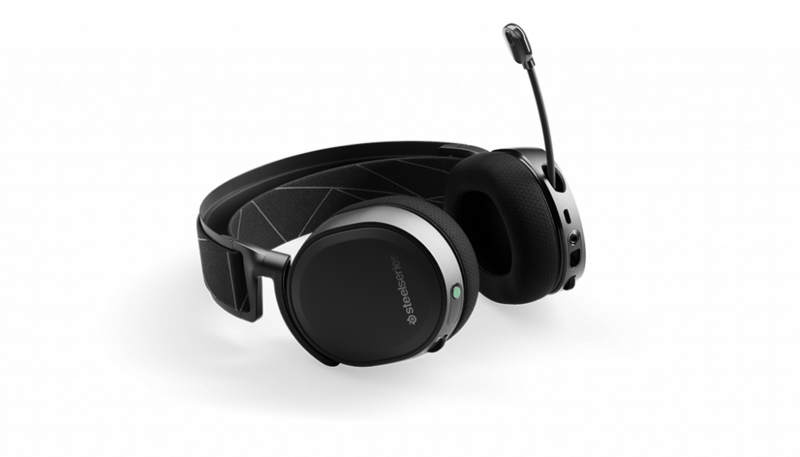 When you’re wearing the Arctis 7 by SteelSeries, it doesn’t even feel like you have a headset on. It’s insanely comfortable with some of the best sound quality on the market, a long battery life, and a mic that retracts right where it came from. Even in high-congested areas, it never loses connection. The built-in game and voice-chat controls mean you can turn up your Discord or in-game audio to your liking to find the perfect balance. HyperX makes some of the best headsets out there, and the Cloud Alpha is its hallmark product. Its durable frame can take a beating even during the most frustrating moments, while its cords can stay relatively tangle-free with a detachable microphone and cable. It also has good audio quality and a decent microphone, making it great all-around for its price. While these are only some of your options when it comes to choosing wired or wireless peripherals, they are the best in their categories. At the end of the day, choosing between the two comes down to personal preference. If you want a seamless, clutter-free gaming experience and can deal with having to charge your equipment before getting on the grind, then wireless devices are for you. But if you can deal with the cables to make sure you get the most optimal performance, sticking with wired will do you no harm.